I'm a big fan of matcha tea. I have it every afternoon around 3pm to prevent that after-lunch slump and get my energy and focus up to deal with everything the little ones throw at me! It takes a little longer to prepare than popping a green tea bag into a mug, but it's totally worth it and still very easy to make. First of all, some interesting things about matcha tea. 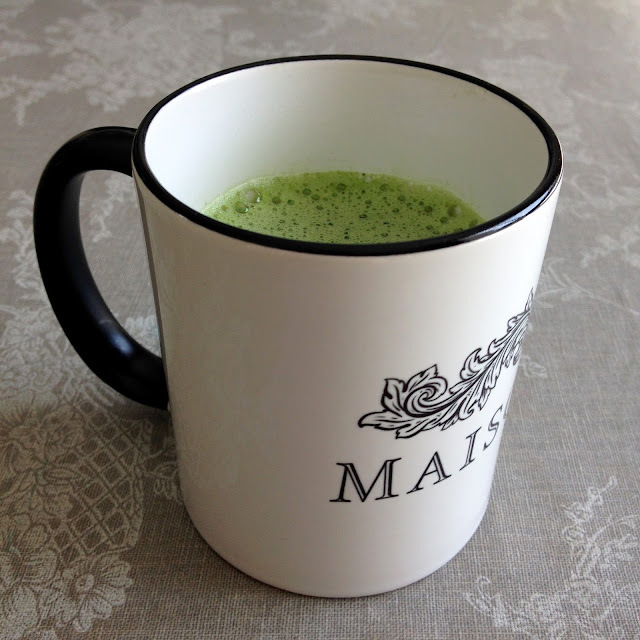 Matcha is a type of green tea. The tea plants grown for matcha tea are covered for the last month to stop sunlight, as a result high levels of antioxidants, amino acids and chlorophyll are produced in the leaves which gives the tea its bright green colour and many health benefits. After the leaves are picked and dried they're stone ground on granite blocks to produce a fine green powder. It's expensive! Almost €20 for 30g, but I usually only use about a 1/4 teaspoon for every cup so it lasts about two months - for me, it's definitely worth it. 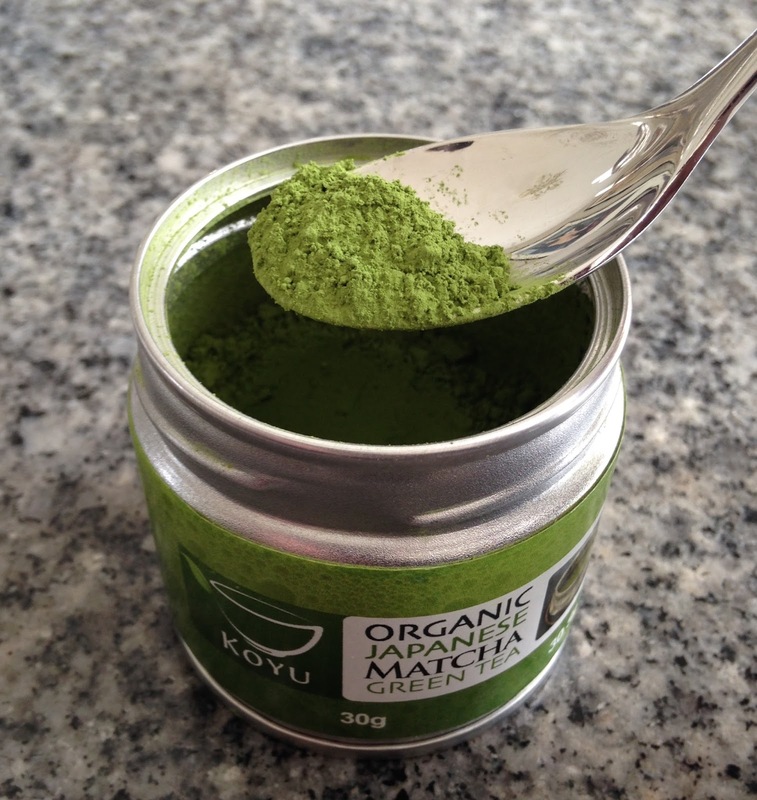 The nutritional benefits of matcha are amplified since matcha is literally fine ground green tea leaves. So instead of steeping it, you're drinking it. It also helps to regulate healthy blood sugar levels. The tea can help with weight loss by boosting metabolism and reducing appetite. It acts as a blood detoxifier and alkaliser. It's known to reduce heart disease. But for me, the absolute best thing about matcha is the feeling of calm yet energised focus you get while drinking it (so amazing!). The "zenergy" feeling comes from the unique combination of caffeine and theanine. It provides a long lasting calm alert state and relaxed mental clarity without the jitters and crashes often associated with coffee. Just pure, good, clean energy! 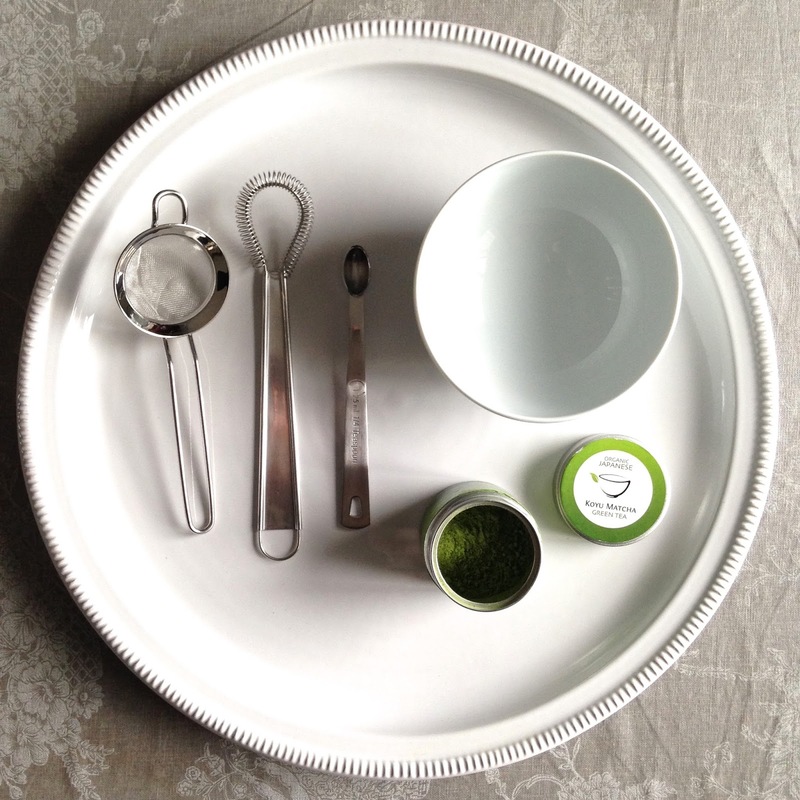 Matcha powder can be added, sprinkled and blended into almost any recipe under the sun. 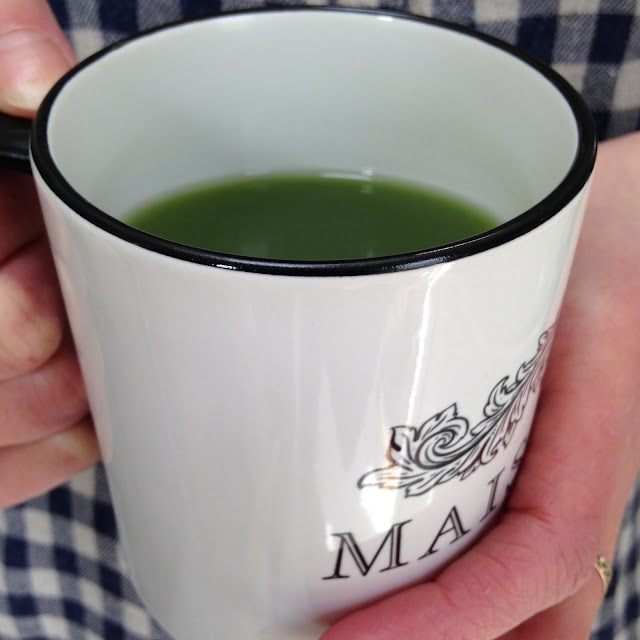 Try a matcha latte, made by adding warm almond milk to the frothy green crema. Add a teaspoon to smoothies or blend it with your favourite cake or cookie recipe. The possibilities are endless! Heat water to no more than 80 degrees. 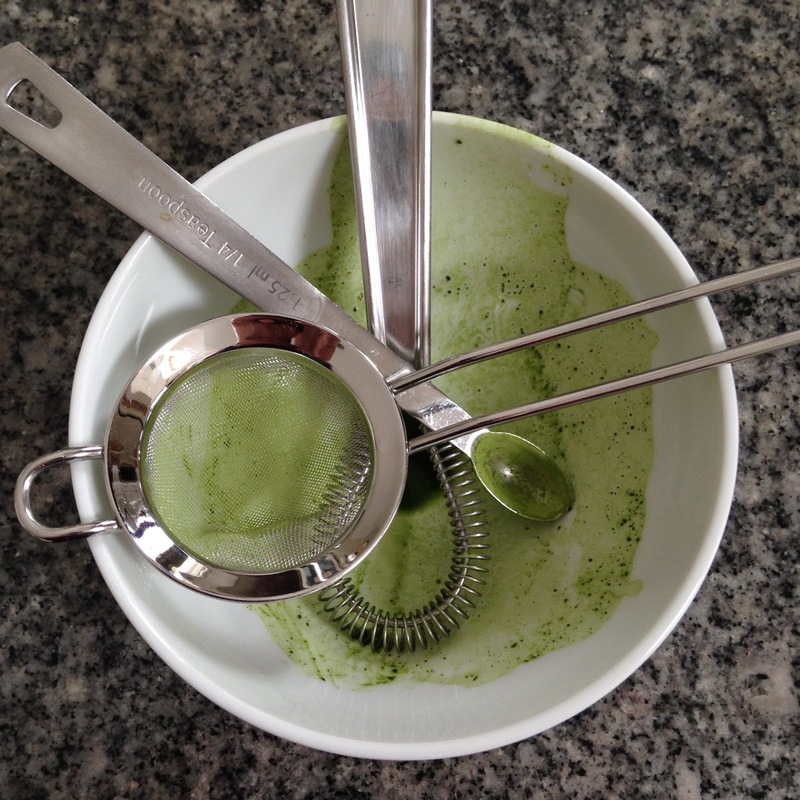 Sieve ¼ teaspoon of matcha powder into a small bowl to remove any lumps. Add approximately 1 tablespoons of the water and whisk quickly until it starts to froth slightly. Pour the contents of the bowl into a cup, add the rest of the hot water and enjoy! For the rest of the afternoon I feel great and ready for anything. Seriously, what could be better than energy and focus when dealing with energetic and highly unpredictable kids!! Store matcha in the fridge. A cappuccino milk frother will give your tea an extra frothy head. For the correct 'tea ceremony' sift matcha powder through a tea strainer (don't push it through) and press the last bigger pieces through at the end.